Peas Kurma when i hear this name i feel nostalgic about my childhood. 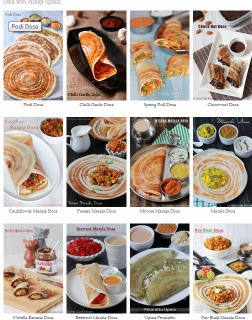 My father used to buy hot Kerala Parotta from shop paired with hot peas korma. We love this combo a lot at my home. This Korma tastes very nice with any type of flat bread like roti, paratha, phulka or naan. Easy to make Kurma with limited ingredients already available in your pantry. Protein rich gravy good for those who needs more energy to lead a day. You can prepare this gravy more healthy by avoiding coconut too but all korma should include coconut or cream to make it rich and tasty. Soak the dry peas in water overnight or 6 hours and pressure cook them with salt on medium flame for two to three whistles. Heat oil in a pan and broken cinnamon bark, cloves, cardamom pods and bay leaf. Once you starts to get the aroma add the chopped onion and green chilli cook for thirty seconds till onionbecomes translucent. Now add the ginger garlic paste and curry leaves; saute for fifteen seconds till the raw smell leaves. Add the chopped tomato and cook till soft. Add the turmeric, chilli powder and coriander powder and saute for five to ten seconds with the masala. Add half a cup of water and salt; allow to boil for about a minute till the raw masala flavour leaves. Allow to boil for a minute or two. You can serve this curry at this stage too. Weight watchers or aged people or those who like to cut calories can stop at this stage. Add the ground coconut paste. Allow the kurma just starts to bubble and the raw taste of fennel seeds leaves. Immediately switch off the gas and garnish with chopped coriander leaves. Serve hot with any Roti or Paratha. Note: You can use fresh peas too but for this kurma dry peas tastes better. You can avoid using coconut or reduce the coconut and grind some peas with fennel seeds to thicken the gravy. You can add soaked cashews too to make it more rich in taste. You can replace coconut with fresh cream and replace fennel seeds with some garam masala powder and add while adding other masala spices. 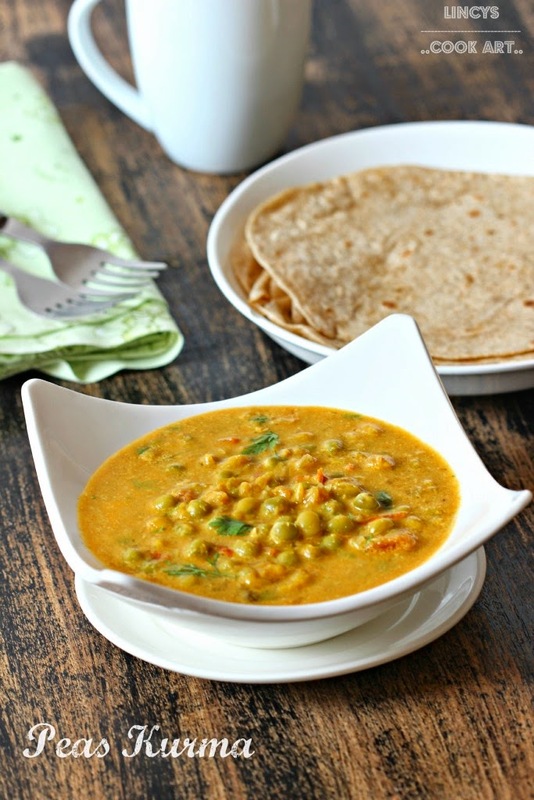 I love all kinds of kurma.. this peas kurma looks so creamy and delicious.. They look rich and tasty..
Definitely need to make your kurma, looks incredibly delicious and flavour filled. Just need to get my hands on all the ingredients now!